Links your computer & a pager – GREAT program for those with beepers. Configures the programs for your specific setup. To start, the SETUP.EXE program must be run. For all options in Setup, defaults are loaded from the included SETUP.DAT. This SETUP.DAT file is used for my setup (Modem/Pager). the included defaults work for most cases. o Send an initialization string of "ATZM1" to the modem. "9" then a pause (,). system to give me a outgoing line). o That the pager's phone number is 541-4053.
o To wait 2 seconds after the answer to dial the message. o To send the message '*811*711*611'. o To wait 1 second before sending the ending code. o To send '#' as the ending code to send the message to the pager. o Wait 2 seconds before hanging up to hear the confirmation message. on COM2 and a VIPaging Company Motorola Bravo Plus pager. entry, END for end of entry). 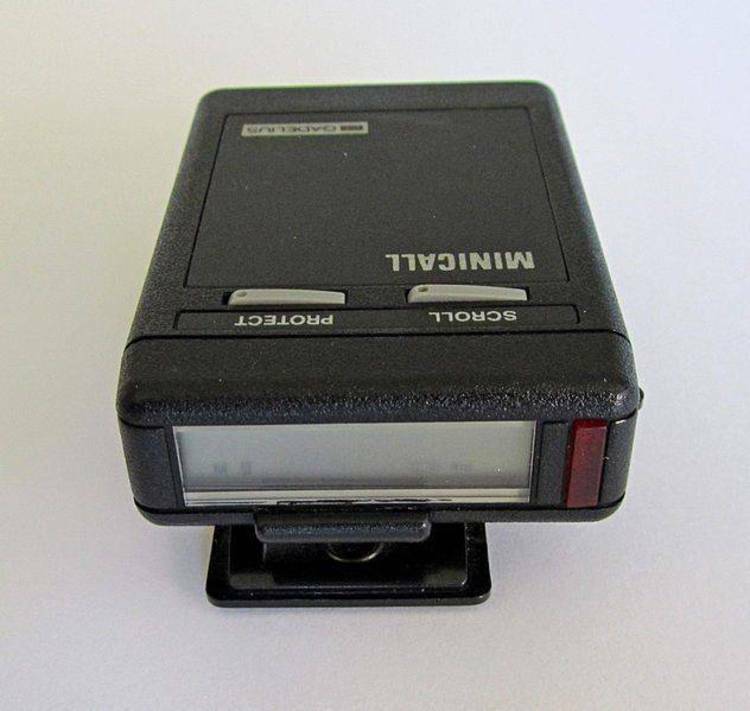 a pager set to beep to a pager set to vibrate. to turn off the speaker. military time (24 hour format), and will then be converted to 12 hour format. unless the press a key, then the message will be sent to the pager. into a batch file and run it. Easy as that. a sound or display anything. Operate in DOS window and Alarm Pager will go off when it is time. setup of Alarm Pager on drive c: in directory \ALRMPG. software useful please register it! (unlimited) Upgrades via modem, details included in mail back. the fifteen day trial period as long as it remains in its complete form. All files included in the original archive must be included! claim by any other party. Any suggestions or comments should be mailed directly to me. Only major version of Alarm Pager that is shareware! text editor with the format described in SETUP.INF.